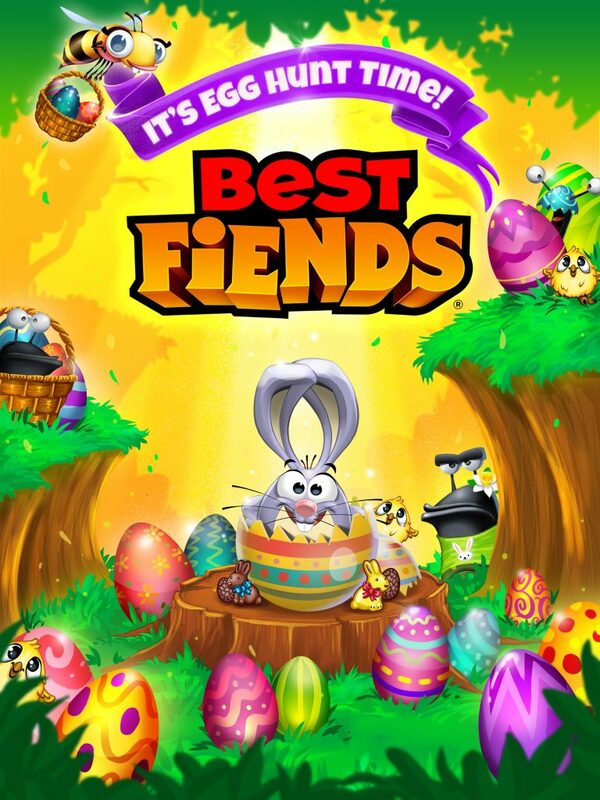 It’s Time for the Best Fiends Easter Egg Hunt! Let’s hop right to it: Best Fiends has a new update! The Easter Bunny is in Minutia–and his name is Eggcellent Rasca! As part of his Fiendish Easter Egg Hunt, he’s hidden 12 Easter eggs throughout the game. In every Easter egg you find, you will unlock a preview of what’s coming soon to the Best Fiends universe. And if you find all 12, you win an egg-sclusive prize, so you better get cracking.